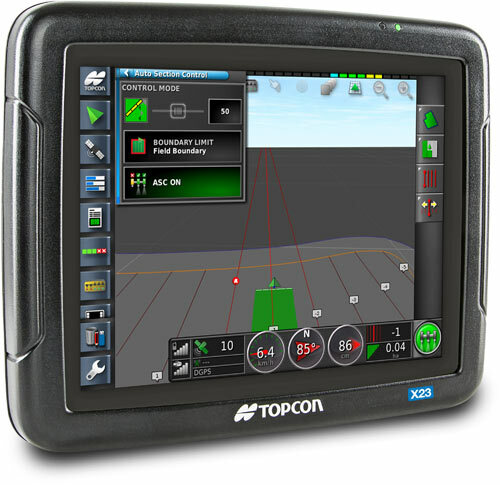 LH Agro, which, from 1st April 2018, becomes the sole official UK distributor of Topcon Agriculture precision farming equipment, has announced the launch of the X23 touchscreen control console. Complementing the existing range of X-series control consoles, such as 12,1-inch X35 terminal, the X23 uses an 8,4-inch touchscreen. It is positioned as an entry-level product. In common with the X-series range, the X23 runs Topcon’s Horizon software – an icon-based operating system, which offers operators the option to create bespoke, user-defined screens. It also boasts a bright display, which can be viewed in direct sunlight. In its normal configuration, the X23 features manual guidance, but can be unlocked to offer auto-steer, application control, auto-section control, and variable rate control as the customer’s requirements grow. It can also be configured to work with all Isobus-enabled machines and implements compliant with the ISO 11783 series. 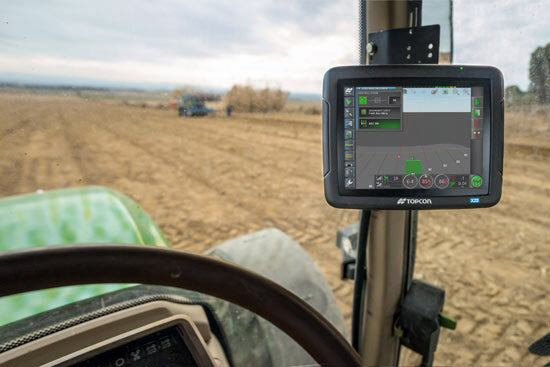 “The X23 console adds to Topcon’s premium range of precision farming systems by bringing an entry-level, yet sophisticated, user-friendly, and reliable control system to an increasingly competitive market,” explained Richard Reed, Managing Director of LH Agro. The X23 can be used as a standalone, all-in-one control system for Isobus-compatible machines and offers functions such as variable rate application and section control of up to 10 sections; features which enable users to eliminate coverage gaps and overlaps, in turn reducing input wastage whilst ensuring optimal crop protection.